LONDON, 5th JANUARY – HTC Corporation (“HTC”), a global leader in mobile innovation and design, has today announced the HTC Desire 320. As the successor to the HTC Desire 310, it is packed with all your everyday essentials and delivers a smooth browsing experience, seamless multi-tasking and the ability to create quick, personalised videos. The latest addition to the HTC Desire family has been designed for the entry-level market and delivers a quality user experience in an affordable handset, offering real value for money. Behind the slick operation of the HTC Desire 320, which runs on Android™ 4.4, is a fast Quad-core 1.3 GHz quad-core processor capable of handling an array of tasks, from watching videos, playing the latest games to juggling your favourite apps, delivering a smooth experience every time. For an entry-level handset, the HTC Desire 320 is packed with features. Whatever your pace of life, the 5MP camera ensures you’re able to capture every key moment as it happens, in still or video format, brought to life on its stunning 4.5” screen. Furthermore, the HTC Desire 320 allows you to get creative with mini movies using HTC’s Video Highlights functionality. Simply take your favourite photos and videos, select a sequence and a favourite track, to create an impressive show reel in seconds, ready to share with friends and family. The HTC Desire 320 also brings you the renowned HTC BlinkFeed for up to the minute news, perfect for those who like to stay connected and keep up with the latest action as it happens. Combining content from your favourite news and social media sites into an easily digestible feed on your home screen, personalised updates are brought straight to you at a glance. Wherever you are, you can catch-up on the latest articles with Offline Reading mode. Simply download and add articles to your reading list when connected to Wi-Fi to access and enjoy at a later date, perfect for those who enjoy reading on the move. 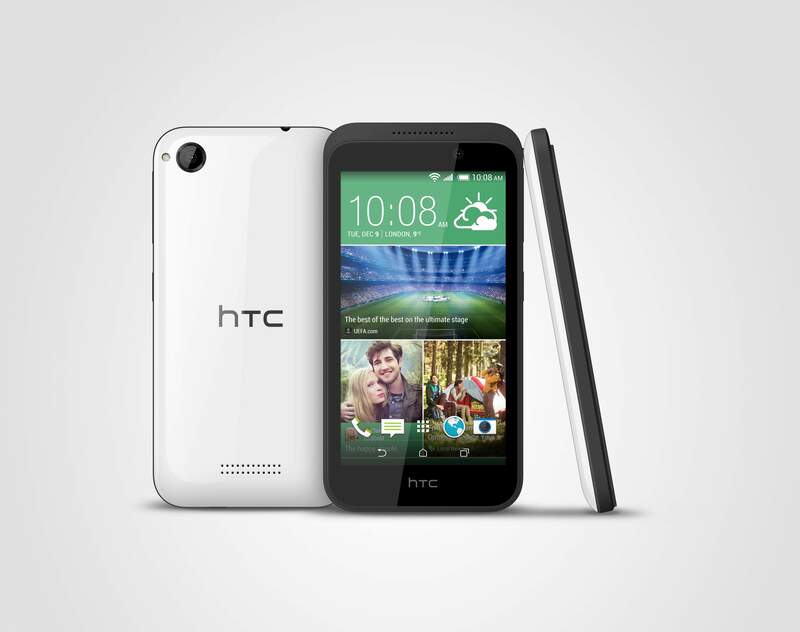 The HTC Desire 320 comes in Vanilla White and Dark Gray. UK availability will be announced in the near future.